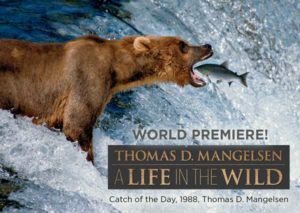 Thomas D. Mangelsen: A Life in the Wild / WORLD PREMIERE! Legendary nature photographer Thomas D. Mangelsen has traveled throughout the natural world for over 40 years observing and photographing the Earth’s last great wild places. From polar bears in the Arctic to vast herds of game on the plains of Africa, from the deep jungles of South America to the tigers of India, to images revealing the diversity of wildlife in the American West, Mangelsen has captured rare moments and vast panoramas from all seven continents. The Durham Museum is honored to host the world premiere of A Life In The Wild, an exhibition containing 40 of Mangelsen’s most resonant images—images that take viewers on a journey into the haunts of iconic species whose struggles for survival are metaphorical fulcrums for reflection in the 21st century. Mangelsen is a critically acclaimed photographer whose honors include being named Conservation Photographer of the Year by Nature’s Best Photography, the BBC’s Wildlife Photographer of the Year, the Outstanding Nature Photographer of the Year by North American Nature Photography Association, one of the 100 Most Important People in Photography by American Photo magazine and one of the 40 Most Influential Nature Photographers by Outdoor Photography. Mangelsen’s award winning photographs have been exhibited in major museums including the Smithsonian’s National Museum of Natural History and collected by thousands around the world through his MANGELSEN®—Images of Nature Galleries.